I don’t recall the museum memories, but I do the infatuation with Mork and Mindy. 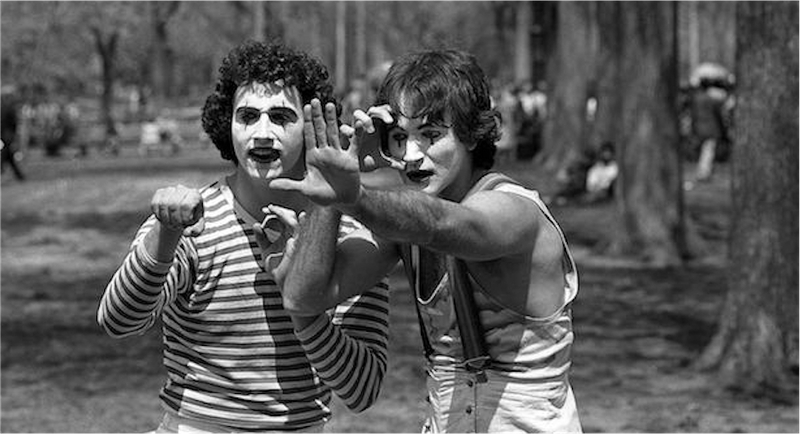 I never really made the connection to mime though Mork made it so obvious. He may have been a warrior against sadness, but sadness clung to him like a heavy mantle. The sad clown, the Pagliacci par excellance. I’m a dissenter on his comic gifts; I always felt his improv was often desperate, a flight from himself and connecting to his audience, free wheeling but usually a series of unconnected comic dots. However, I’ve always believed him a fine, very fine actor: tethered to a script, a story, and relations with others, he was able to be funny, and poignantly funny, in a deeply human way. 3 cheers for “Good Morning Vietnam”; a constrained, episodically manic Williams, in a surreal tragic context suitably open to his wild flights of saving fancy and delineated, episodic escape. The inhumane chaos of war, grounded, centered, made tragi-comic, the seeming chaos of his wandering mind. Above all, Robin Williams had soul, sweet sweet soul, which is why his loss laid us all so low…On the anniversary of his death, I’m sorry for your loss. 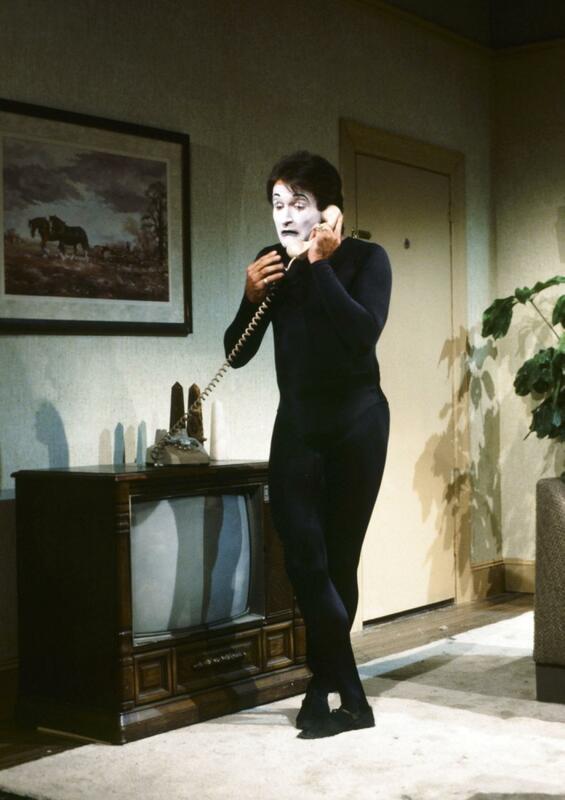 Yes, Pagliacci….We can agree that his work was poignant, and potent. He made me laugh through his sadness. And my own.